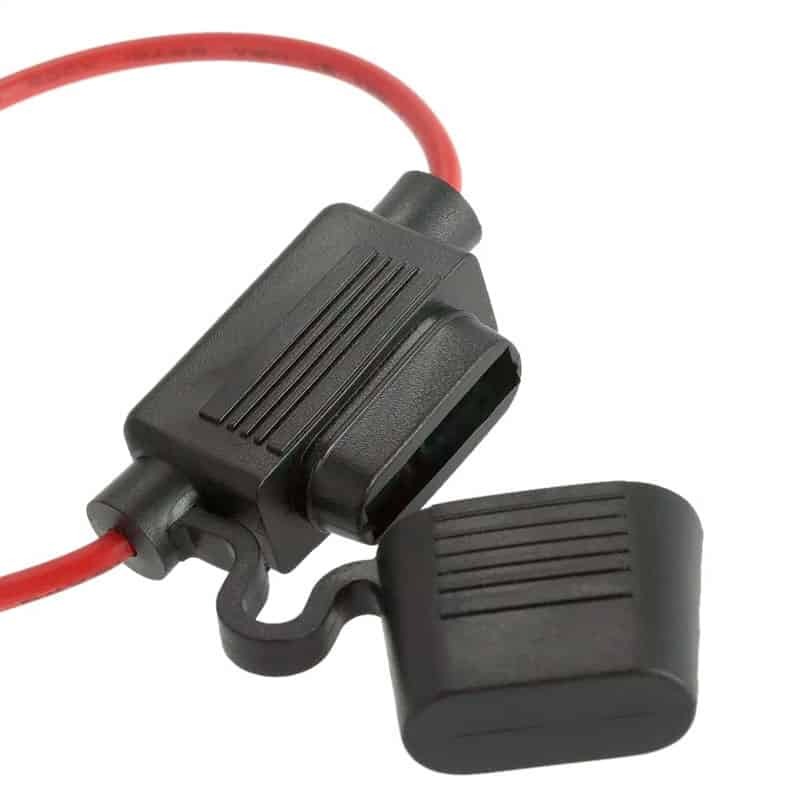 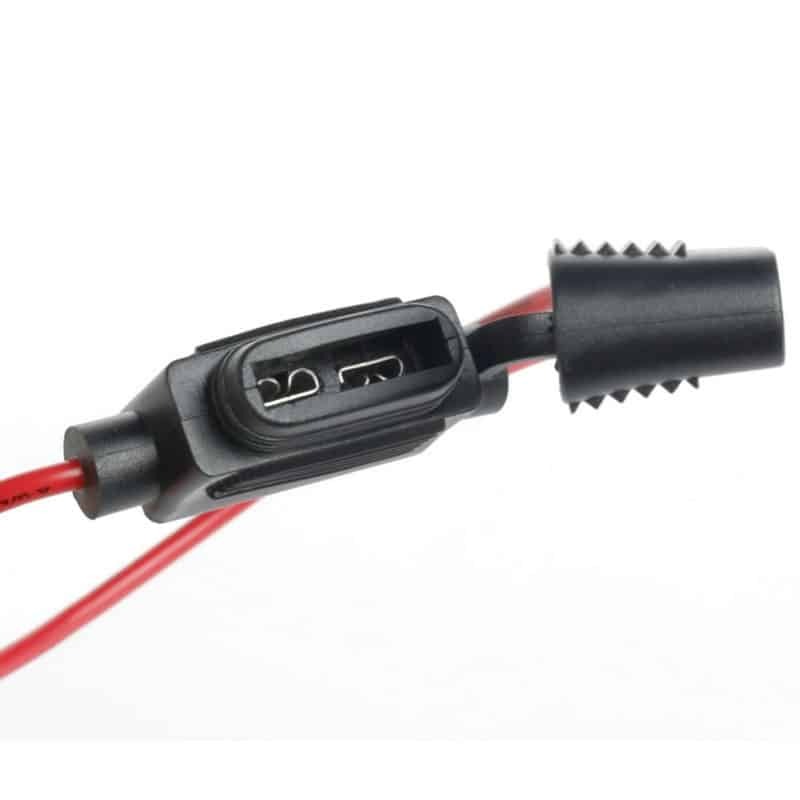 Low profile fuse holder for small size blade fuses, with an included 15A fuse (small size). 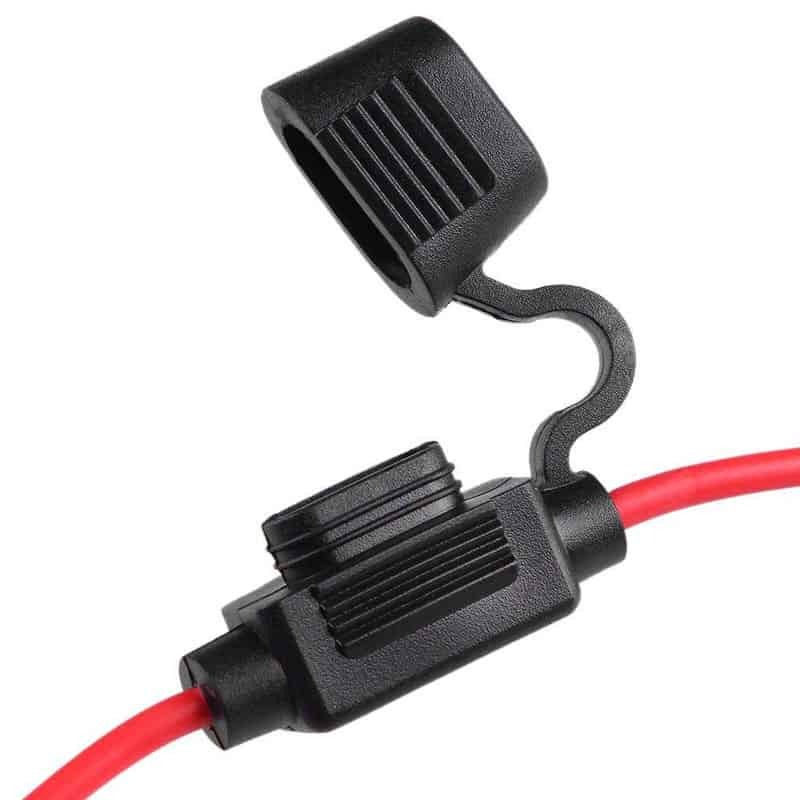 Connection wire is 16AWG and measures 20cm (8-inches) in a loop allowing for trimming to your desired length. 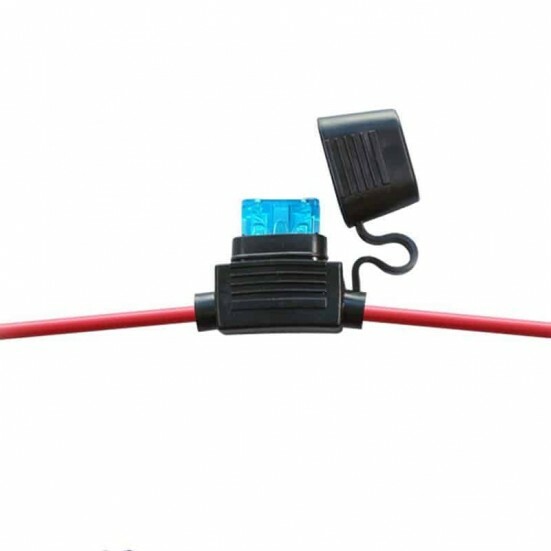 Access to the fuse is by means of a snap-fit lid on the top of the holder which protects from dirt and weather elements. 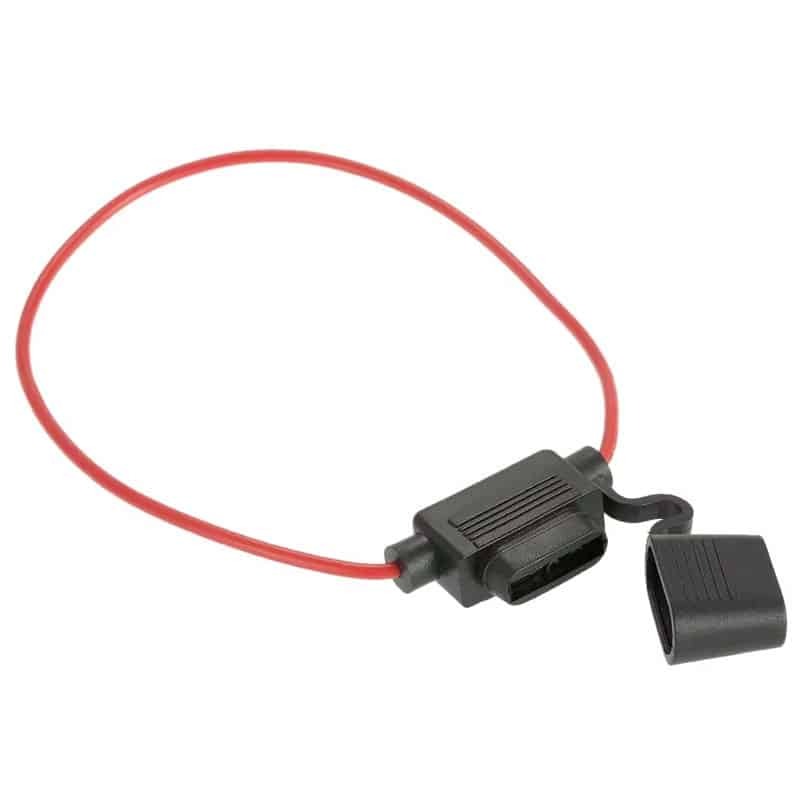 Uses standard small-sized automotive type fuses.